Forget the long lines and confusion associated with finding transportation from the many Myrtle Beach Airport arrivals. Skip the taxis and shuttles and travel with confidence by scheduling a private, luxury sedan that can carry up to three people. Then sit back and relax as the vehicle travels from the airport to any accommodation in the greater Myrtle Beach area — including downtown Myrtle Beach, North Myrtle Beach, Murrells Inlet, Surfside Beach and Pawleys Island. Getting from the airport to a local hotel can be complicated, but it doesn’t have to be. 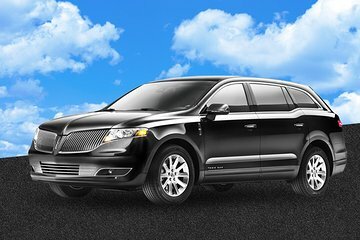 There is a convenient option that takes all the hassle and guesswork out of renting a car or arranging for a shared shuttle after a long flight. There’s no need to deal with the frustration and lengthy lines that accompany these less-than-desirable options. Simplify the entire process upon arrival at the Myrtle Beach International Airport. Travel from the airport to any accommodation in the greater Myrtle Beach area — including downtown Myrtle Beach, North Myrtle Beach, Murrells Inlet, Surfside Beach and Pawleys Island — in style and comfort by arranging for a private, luxury sedan that can carry up to three passengers. After leaving the baggage claim area, look for a professional chauffeur that’s holding a personalized sign. It’s as simple as that. Then sit back and relax. Getting around from the Myrtle Beach airport has never been easier.